I was recently invited to join a work friend (Jordan) and his family for the first week of this year’s annual deer hunt. They hunt a large group of properties in a small town north of Kingston using dogging methods. This was my first experience dogging, so being a still hunter, I was naturally excited to experience it’s relative fast pace. We headed out early Monday morning to meet the other members of the group at the family farm. All the other members seemed to be well seasoned deer hunters. Thankfully they didn’t give me too much of a hard time for being a green horn. In fact, I think they were glad to have another gun on a another stand which gave the deer one less out and increased our odds. With an arrival at 4:30 am, we had plenty of time to make the introductions and to discuss how things would play out over the course of the days to follow. Once we had some direction from the more experienced hunters, we departed the farm towards our stands which were situated on a nearby property. Finally the season was about to begin. The first run turned out to be unsuccessful, as did the following runs that day. Even so, I was able to learn a lot about how the group functions and about dogging in general. Typically the group completed 3 to 4 runs with the dogs in a day, all on different properties so as not to pressure an area too much and to maximize coverage. Hunters are placed in strategic locations along deer runways or prime escape routes on each hunted property in an attempt to remove all exits from the property. The method relies on the dogs pushing deer present in the area into their preferred escape routes, where the hunters have hopefully been placed. This is where the group’s extensive experience with the land shone through, as time and time again they put me in stands that were obviously on throughways for deer. Its one thing to hunt a property, its all together another thing to completely understand it and how animals interact with it. Regardless of the lack of success, I could see it was just a matter of time. The days progressed quickly, with silent periods broken by quick jokes on the radios or the howling of the hounds. Ever time news of a sighting came across the radio, my heart seemed to jump out of my chest and I found my eyes would flit across the landscape with renewed focus in hopes of spotting our quarry. I didn’t know half of the areas the radio conversations were discussing but I knew that deer are fickle things and they could just as easily wander in front of my stand as any other. Although the methods seemed well practiced and time tested, It just seemed like there were very few deer around to even push. Everyone seemed to agree the deer were not in the areas we were pushing, and that they were likely posted up in the large swamps nearby. Not to mention, we had been experiencing some above average temperatures which some say will keep the deer from moving too much. Thankfully, the stars aligned on the third day. We hunted another previously un-hunted piece of land right off the bat on day 3. Despite some pretty heated runs, and encountering a buck and multiple does, no deer were taken. The deer seemed to find convenient cedar rows or thick bush to escape to. There was no question though, more deer were being sighted. On the last run of the day we shifted to another property that we had previously hunted. According to the land owners, this was one of the gems amongst their huntable lands since so many deer used the area as a throughway. 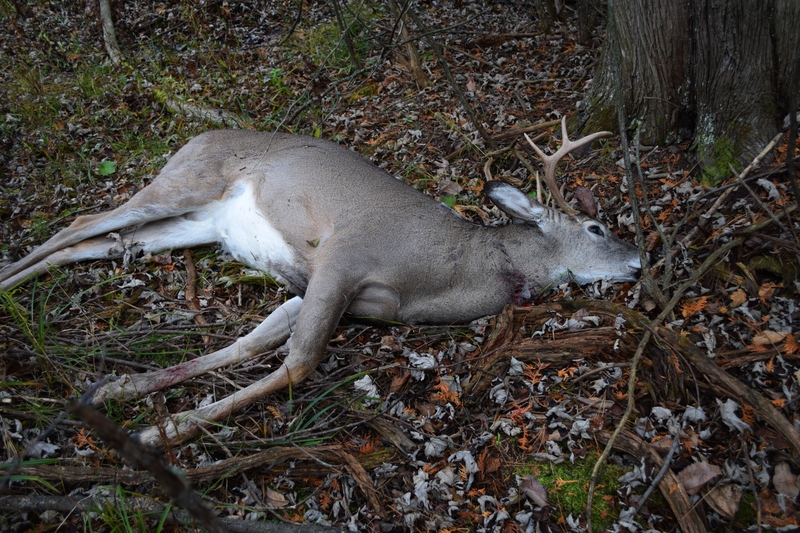 Its deer population could vary so greatly over short periods of time which made it a good candidate for multiple runs. 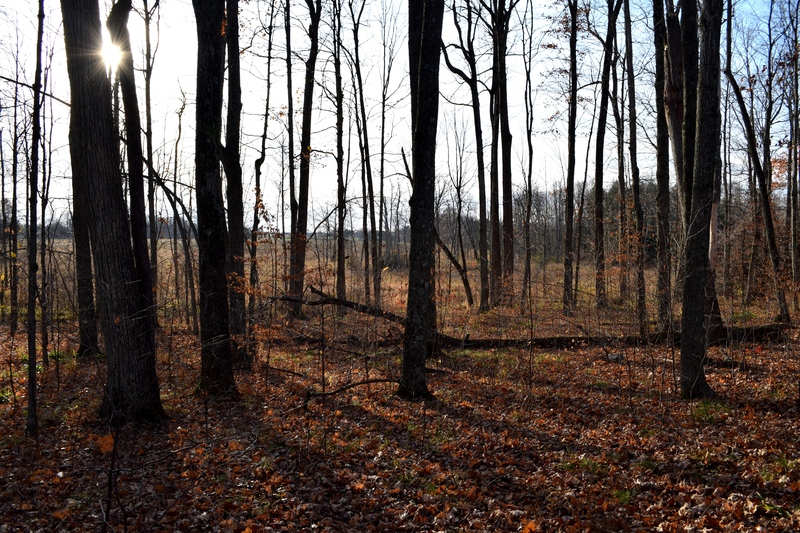 The property was a mix of fields and planted pine rows next to a small lake but the interesting part about this property was a thin 60 yard sliver of dense cedar and mixed bush that separated the fields from the lake. This sliver formed a natural funnel/runway for deer and they placed me and my Winchester Model 94 30-30 smack dab in the middle of it’s main arterial deer path. This would be the first time the little winnie would see any action. 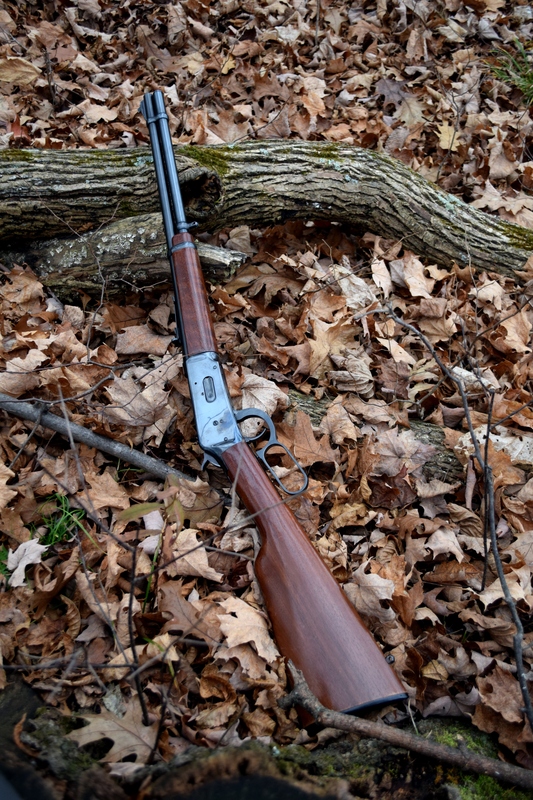 It was a couple hours into the hunt when I a heard a twig snap just beyond my field of vision. Its funny how you realize the subtle difference between a deer moving and a squirrel playing once you actually hear a deer move! Moments later a beautiful 8 point buck casually popped into view. My chest pounded. This was the best chance I had ever had at any deer, and the first time I had seen a buck through the sights of my rifle. At the time I didn’t even realize that the animal was on the upper side of average and actually a fairly good size for the area. I just saw a jumble of deer horns and bush. Likely a bi-product of the adrenaline. The buck was cautious and advanced at a snails pace. He had yet to detect me but made it clear he was aware something was afoot. Beating back the buck fever, I took a breath and slowly raise the 30-30 to put the bead sites on as much of the deer as I could see. The brush was very dense and the deer had not stopped in an ideal location so clear shots were almost impossible. I waited. I sat patiently for what seemed like an eternity with bead fixed, and hand steady. Then he took a couple small steps, advancing a foot or so and revealing his neck and broad chest in the process. His eyes met mine in a moment of final realization. He knew and I knew a fraction of a second was all I had. It was at this instant I took the shot. Moments later, the deer lay still in the same place as he was once stood. A clean shot and a quick end. A successful harvest. I shot a second deer that week. The second looses none of the excitement, but there is something about the first that remains seared into my memory. I’ve had a lot of firsts in the outdoors during the course of my life. First fish, first bass, first goose. etc. All of them exceptional, life altering experiences. But, I can honestly say, they pale in comparison to overwhelming excitement you get when you pursue a large animal like a deer for the first time. These animals aren’t so easily tricked and their senses are much sharper than our own making a successful hunt all the better. 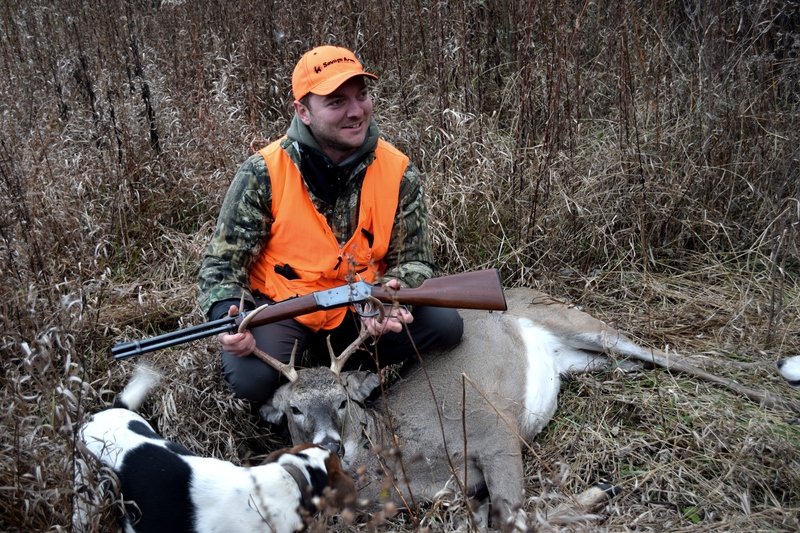 As profound an experience as it is to harvest a deer, harvesting is not the only valuable aspect of hunting. For myself, tradition plays just as significant of a role. 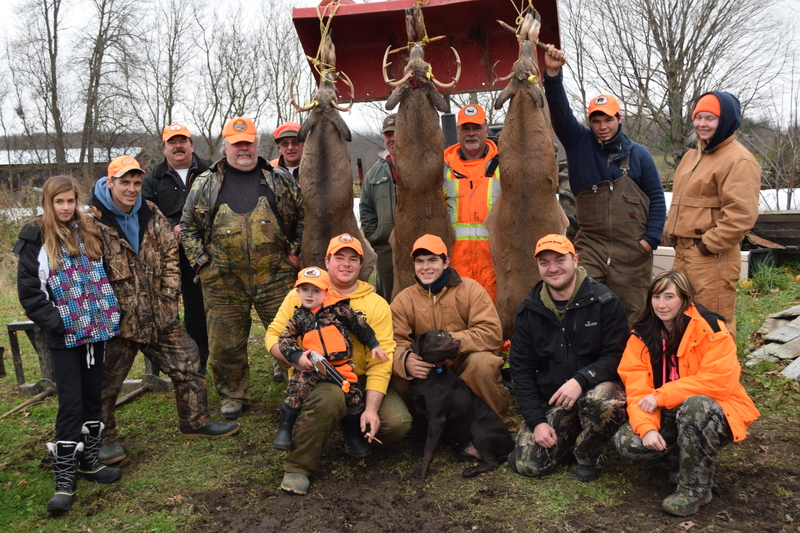 I was lucky enough this year to hunt with an established group that gave me a chance to take part in an family tradition that has been developed over decades. It was immediately clear that this tradition was built on the ideals of family, mutual respect, conservation, and enjoyment as well as preservation of the sport for the future. I could see this when members of the party brought their young kids out to teach them about the experience. Or when we discussed the reasons for selective harvesting as a means of conservation. For this group, hunting is as much about the tradition and preservation as it was about the shooting. But no need to look at hunting in such philosophical terms. Hunting is really just a week or two every year where you get to relive the past experiences, share hunting stories, tell the same jokes and enjoy the company of other like minded folks. A time to share a real connection with other human beings and time to pass down much needed lessons through the art of some “back in my day” story telling. Its a time to pass time in the outdoors, reflect on things, and gain a bit of clarity. And in our busy lives, who couldn’t use a little bit of that? 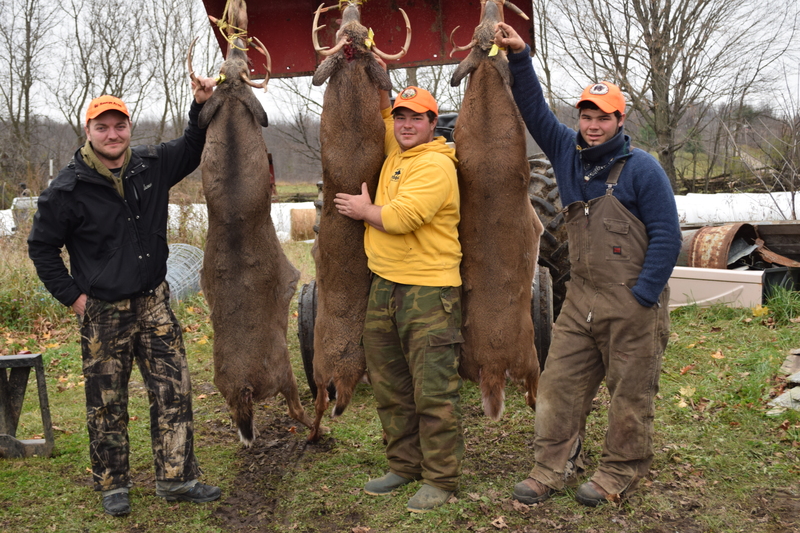 This entry was posted in Hunting, Photography and tagged Deer Hunting in Southern Ontario, Deer hunting near kingston, eating wild, First Time Deer Hunting, game meat, harvesting deer, Hunting, the wilds of ontario, Whitetail Hunting, wild ontario, Winchester 30-30. Bookmark the permalink.